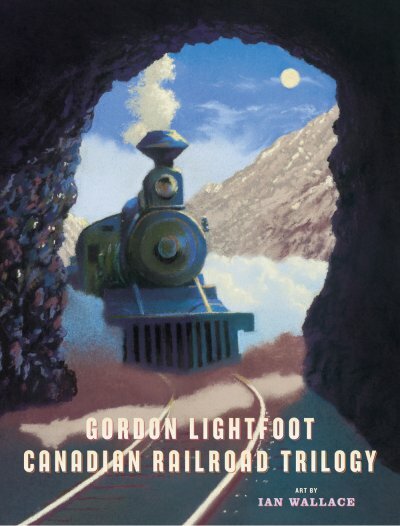 August 2, 2010 — A new hardcover children's book, featuring the lyrics of Gordon Lightfoot's epic song Canadian Railroad Trilogy, and illustrations by renowned writer/artist Ian Wallace, was announced for a December 1, 2010 release in the US, and was available in Canada shortly before that. The new book is a true work of art from start to finish, and pays appropriate tribute to one of the most brilliant songs ever written. With stunning pastels each carefully conceived to illustrate a small section of the song, the book will be a treasured addition to the library of anyone with a love of art, music or history. By delicately combining the lyrics of Lightfoot's song with the artistry of Ian Wallace, the book will also help foster in its target age group (4 through 8) a love of all three: music, writing and history. In addition to the lyrics and illustrations, the book also includes the sheet music, making it the complete package. The sheet music is treble clef and chord names, but is shown in F while the song is actually played in D with the capo on the 3rd fret - a small defect, because most guitar players would prefer to see the music written as it is played on guitar and with chord shapes, rather than just the notes transposed for piano. The book also includes illustrator's notes, with interesting comments about his own reaction to the song and the history, and the inspiration for each of the illustrations. It is available today from Amazon.ca and from Amazon.com and, for those of you across the pond, from Amazon.co.uk. This beautiful book could make a nice holiday gift. 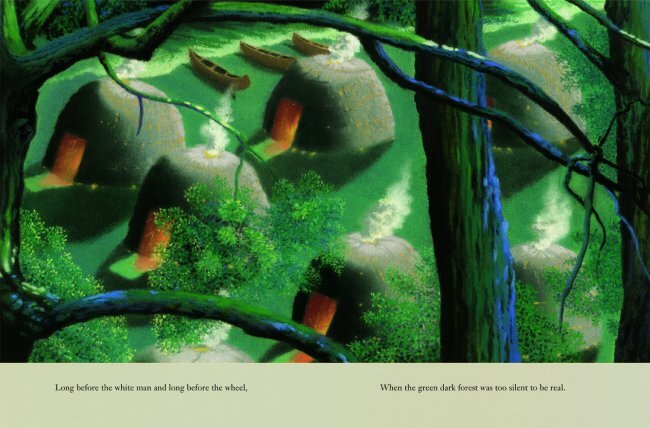 This is the second illustrated children's book to be based on a Gordon Lightfoot song. The first is the long out of print The Pony Man, released in book form in 1972, and including additional verses. Unfortunately, The Pony Man is available used today only at astronomical prices (Amazon.com or Amazon.ca). Also in the 1970s, a poetry book with illustrations, not a children's book, was published in paperback by Blue Mountain Arts. Called I Wish You Good Spaces - Poetic Selections from the songs of Gordon Lightfoot, the book is available used from Amazon.com or Amazon.ca. (The title is from the song, I'm Not Supposed To Care). This book too is long out of print, but at least it is available used at modest prices. The new Canadian Railroad Trilogy will make a nice children's book, providing both entertainment and a Canadian history lesson; in fact, the song is used for that purpose in many grade schools in Canada. The book will also be a nice collectible for devoted Lightfoot fans. An art exhibit with the original pastels will be held from September 22 to October 6 at CBC in Toronto. An opening reception will be held on September 30, from 5 to 7pm, with a special performance by Jory Nash. (Original announcement). See also Lightfoot visits the exhibit. 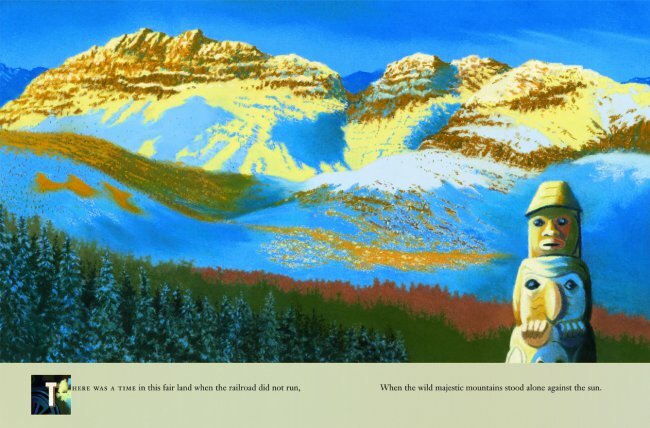 A Book Based on Stan Rogers' "Northwest Passage"